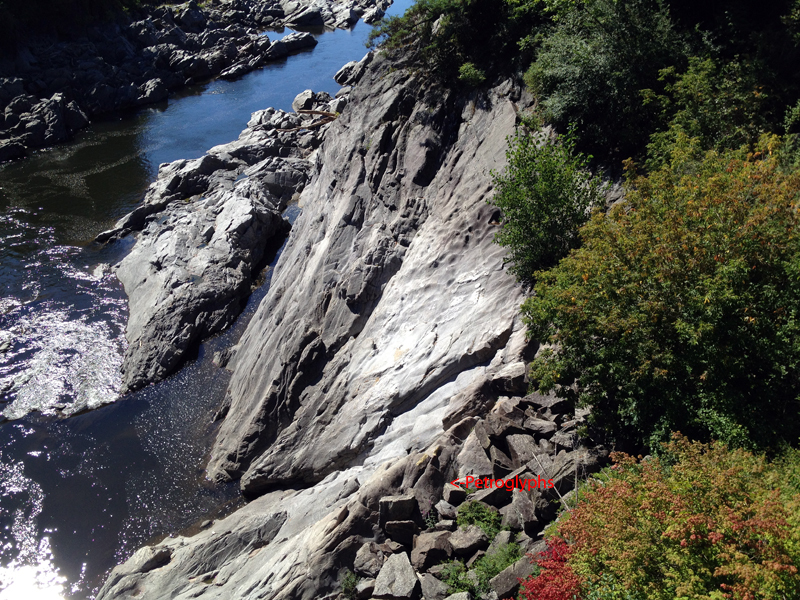 The Bellows Falls Rock Art Site is located above the Connecticut River in Vermont. 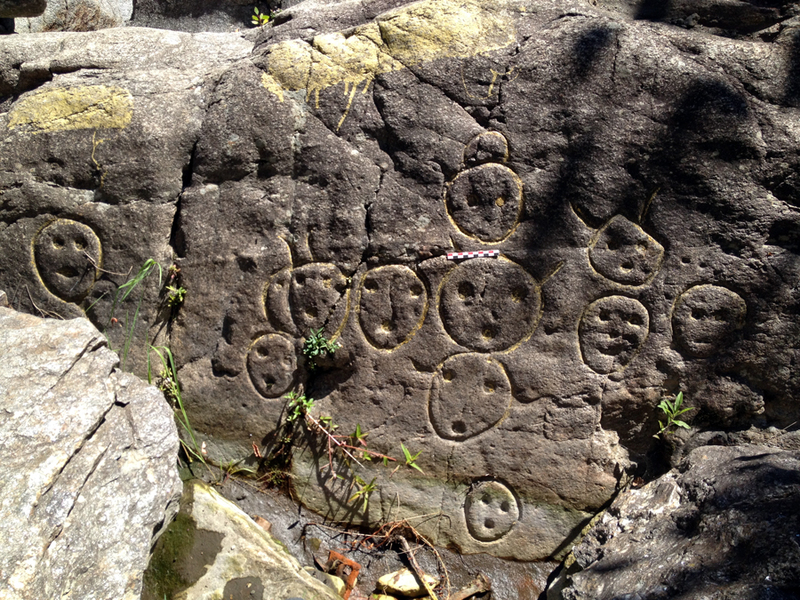 The petroglyph panel with small masks/faces. One resident of the town reported that the "distinct" edges on the faces is the result of recutting during the early 20th c. The scale is 10 cm. Large petroglyph that was not recut. The scale is 10 cm. Petroglyph panel with large masks/faces. One resident of the town reported that they had been recut during the early 20th c. The scale is 10 cm. 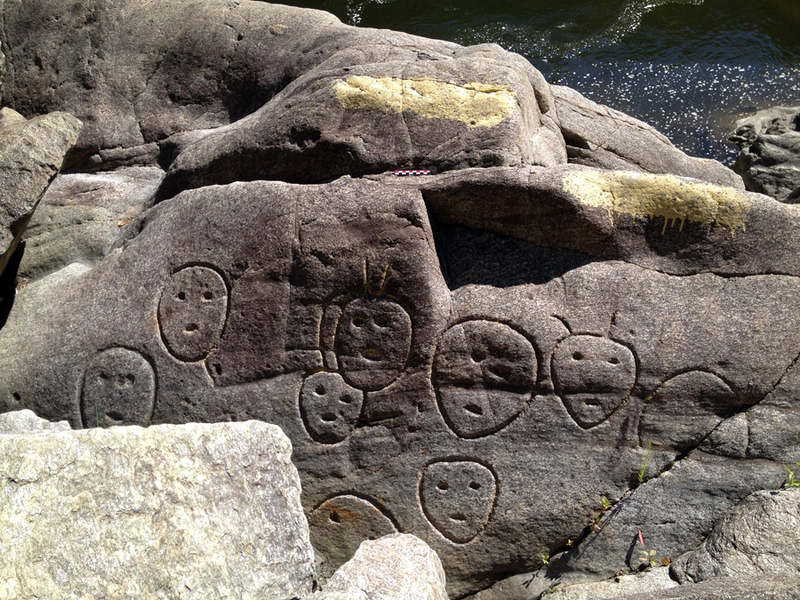 Location of the petroglyphs on bedrock exposed along the Connecticut River. 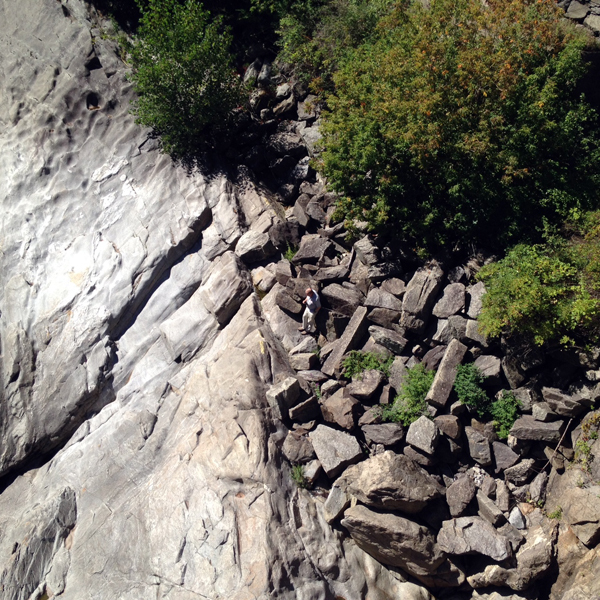 Image of Professor Fuller documenting the petroglyphs; photographed from the Bellows Falls Bridge over the Connecticut River. 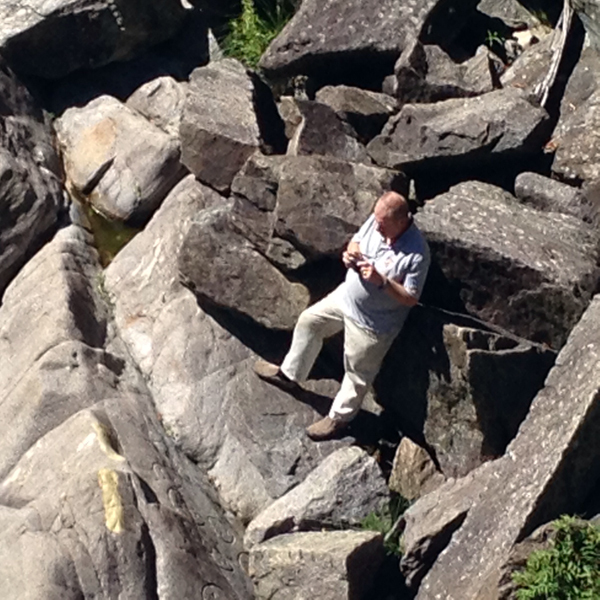 Photographing the petroglyphs on bedrock exposed along the Connecticut River. 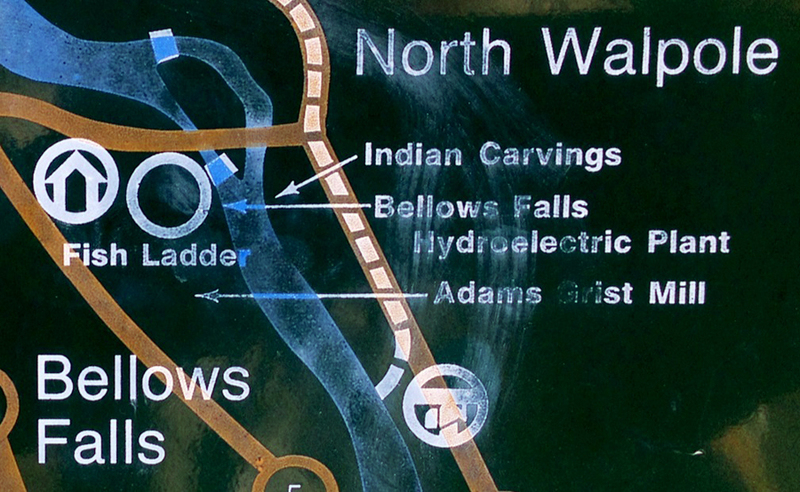 Map of the Bellows Falls petroglyphs along the Connecticut River. Webpage constructed on 18 September 2014.